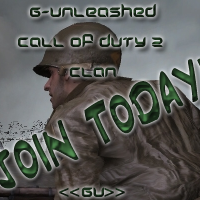 Join the G-U clan today. We unite and fight online in the CoD2 servers and overpower everyone. When you join, you will learn about or strategies and when we fight and where. Click that image and apply today!